Interview with the Vampire is a gothic masterpiece which, unlike other films in its genre, reveals the dark side of immortality. It is not only a well-crafted adaptation of Anne Rice’s novel, but a visually beautiful film which is complemented by an accurate historical backdrop. Director Neil Jordan’s casting is also excellent, and Tom Cruise, Brad Pitt and Kirsten Dunst play their roles exquisitely. If you like horror, Interview with the Vampire is worth watching because it breaks with convention, but does so in a way which is both captivating and, at times, frightening. This film is unique as it breaks from the traditional tropes of the horror genre, and Louis’ story provides a platform for the exploration of damnation and its relation to innocence. In the way that humans are part animal and part divine, vampires are part demon and part human – in spite of this, Louis retains part of this human divinity, and innocence, by refusing to kill. Similarly, Claudia’s innocence can be seen through her frustration that she will never grow into a woman. She wants to be human too, but her puerile hunger for blood is greater than Louis’ and because of this, she seems to be caught between her innocence, and her demonic nature. 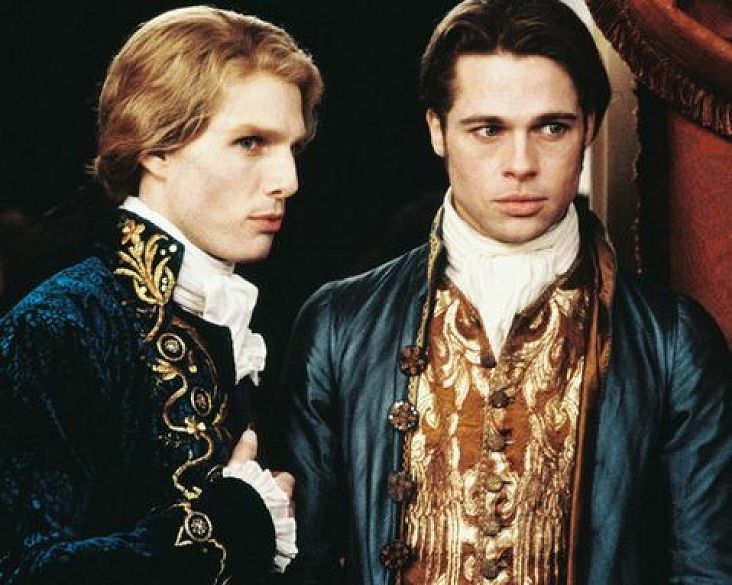 Though these characters have human qualities, however, this is not the case with Lestat. He embraces what he is – of his own choice, he has no innocence. This can be seen when he quotes from Shakespeare’s Othello as he takes a woman’s life, ‘To put out the light…’ and this demonstrates that he is both cultured and demonic, revealing yet another way in which this film in unique. Ultimately, Interview with the Vampire is frightening not because of gore, or monsters which are hedonistic killers – such as Dracula and Nosferatu – but because its character’s problems are taken from the real world. It is frightening because an eternity is not an appealing prospect, especially when it is spent in the shadows, neither completely removed from or as a part of the human race. This film is one of depth and complexity, which keeps viewers captivated from the outset, and it is because of this that it is thoroughly worth recommending. Posted in Arts and tagged essential film, film. Bookmark the permalink.